More and more women are seeking the benefits of chiropractic care throughout pregnancy. At Horizon Family Chiropractic, we’re serious about taking care of moms-to-be. In fact, Dr. Amy Schreiner is Board Certified in prenatal and pediatrics for doctors of chiropractic. Pregnancy is a time of extraordinary and rapid Change. Hormones are working hard to change the dynamics of her spinal and pelvic structures to get a woman’s body ready for labor. Many of these changes can cause discomfort. Many women have found that regular prenatal Chiropractic enabled them to experience the best pregnancy and delivery possible. In fact, the Webster technique has been found to assist breech babies in moving into a proper head down birthing position. With all the changes than pregnancy and labor bring, it is a perfect time to seek a chiropractic evaluation. 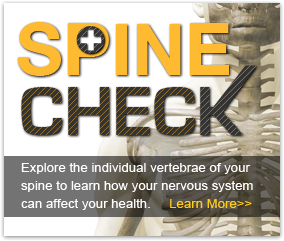 See what Chiropractic did for John!